Makapuu Lighthouse - Hawaiian Quilting With Poakalani & Co. It was a nice surprise to see Ikumi at class on Saturday. She was homesick for Hawaii and we’ve been missing our Ikumi. 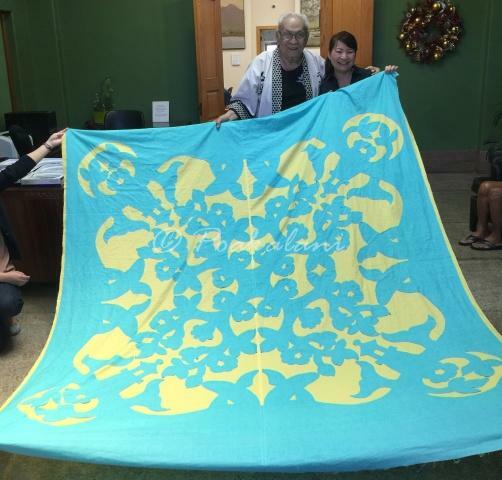 She shared her next quilt of Whales swimming in the ocean below the Makapuu Lighthouse. Her design and it’s beautiful. Great Job Ikumi. Glad you came home for a short visit.